PG&E acknowledged Thursday that its power equipment is likely to blame for the Camp Fire, the deadliest fire in California history. PG&E is about to go bankrupt. Will the troubled utility keep the lights on as it finds a resolution of the billions of dollars it faces in potential liabilities from the Camp Fire and the wine country wildfires. The company, which filed for bankruptcy a month ago, also said its wildfire liabilities “raise substantial doubt about PG&E Corporation and the utility’s ability to continue as going concerns.” Companies typically use “going concern” language in Securities and Exchange Commission filings when they’re in such dire financial straits that the company’s future existence is in doubt. State officials have raised the possibility of forcing PG&E to sell some of its operations, including its natural gas division, to pay wildfire claims. The idea of a state takeover of the utility has also been discussed. A faulty transmission tower near the remote community of Pulga, northeast of Paradise, has long been suspected as the probable cause of the November fire, which killed 85 people and destroyed much of Paradise. PG&E said a “broken C-hook” attached to the 115-kilovolt tower was the probable cause of the fire. That, according to PG&E, caused a malfunction of the line at about the time and place that state CalFire officials say the Camp Fire ignited. A PG&E employee observed a fire at that site minutes later. PG&E inspectors later found a “flash mark” and other damage on the pole. California state fire investigators on Thursday declined comment on PG&E’s announcement, saying their investigation of the fire cause is still underway, with no date set for completion. “We will not address what PG&E said until our investigation been completed,” CalFire spokesman Scott McLean said. Facing an estimated $30 billion in liabilities from the 2017 and 2018 wildfires, Pacific Gas and Electric Co. and its parent PG&E Corp. filed for Chapter 11 bankruptcy protection in late January. John Geesman, an energy policy consultant in Oakland, said the latest revelations will worsen the utility’s already troubled image and could influence Gov. Gavin Newsom and the Legislature as they consider what steps they should take to deal with the PG&E bankruptcy. The quarterly financial results shed additional light on PG&E’s troubles. The company took an $11.5 billion charge against earnings, including $10.5 billion from the Camp Fire and an additional $1 billion from the 2017 fires. Previously, the company had recorded a $2.5 billion charge from the 2017 fires, which swept through Northern California’s wine country and parts of the Sacramento Valley. “The charges represent a portion of the previously announced estimate of potential wildfire liabilities, which could exceed more than $30 billion,” the company said. The charges plunged PG&E into the red for 2018; the company announced a loss of $6.9 billion for the year. PG&E stock fell 20 cents a share in early New York Stock Exchange trading, to $17.60. A defense motion asking for 14 more people to be arrested in connection with the fatal Oakland warehouse fire in 2016 was denied by the judge in the case. 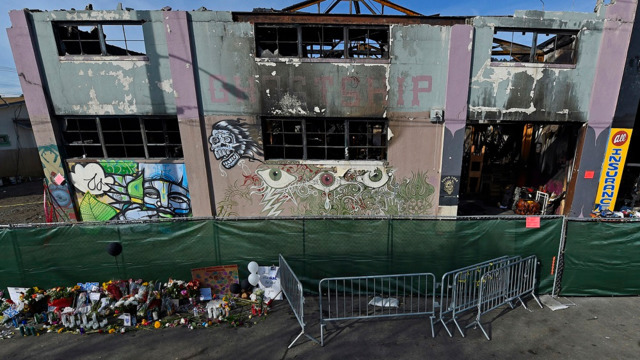 OAKLAND, Calif. — It’s a rare move to see defendants ask for more defendants to join them in a criminal case, but a judge denied a motion Monday asking for 14 more people to be arrested in the Ghost Ship fire case. Attorneys for defendants Derick Almena and Max Harris filed the motion to compel a citizen’s arrest, which called for the arrest of 14 others for the fatal Dec. 2, 2016, warehouse fire in East Oakland that killed 36 people. Included in the list was landlord Chor Ng, and her children Eva and Kai Ng, who served as building managers. Although Judge Trina Thompson said Monday that she was “intrigued” by the motion in this case, she pointed out that the judicial branch did not have the power to bring charges against anyone. Prosecutor Autrey James argued that there was insufficient evidence so far to bring charges against the Ngs “beyond a reasonable doubt,” which is the standard of proof in criminal cases. District Attorney Nancy O’Malley herself told this newspaper last year that prosecutors could not “pin that” responsibility on the warehouse owner, the Ng family. But she also said prosecutors have not given up the possibility, if some new evidence comes to light. James also argued that the arrest of individuals is a “discretionary act,” and that arrests cannot be ordered. Almena’s defense attorney, Tony Serra, pointed the finger at politics and a public relations firm for the lack of arrest of others besides his client. “There is a white elephant in the courtroom that no one is acknowledging … that this is a political case,” Serra said. Serra referred to the alleged $90,000 hiring of Sam Singer, a well-known crisis manager who has a public relations firm based in San Francisco. Serra maintained Singer was hired to influence prosecutors so that the Ng family, fire department, inspectors and others would not be charged. Serra said it was “obvious” that the landlords should be charged. Singer told this newspaper in January that he was hired to represent the Ng family to assist in communication issues surrounding the tragedy. “I’m honored that anyone would speak so highly of my work, but there’s no truth in me making charges go away,” Singer said in January. Tyler Smith, an attorney who represents Harris, said in his arguments Monday that Eva Ng knew when the lease was being signed for the warehouse by Almena and others that the use of the building was being changed. The warehouse, formerly used for dairy storage, was to be used for an artist warehouse, for public outreach and gatherings. Because the owners themselves had the legal duty to make sure the warehouse was safe, everything can be traced back to Eva Ng, Smith argued. He said if the Ngs had properly followed the rules, the building would have had sprinklers, illuminated exit signs, smoke detectors and other safety measures that the prosecution has argued for against Harris and Almena, Smith said. Smith also said her brother, Kai Ng, was told that people were living at the warehouse. As reported by this news organization, police had visited the warehouse a year before the fire and knew of illegal parties. There were also reports from witnesses that firefighters from a nearby station had not only entered the Ghost Ship but also had attended a party there. An off-duty firefighter also attended his wife’s work holiday party there, according to records. But the prosecution has maintained that it was the reckless actions of Almena and Harris that caused the deaths of the 36 people trapped inside the warehouse. The multi-vehicle accident involved a total of 10 patients (including an LA County Firefighter) on the 5 Freeway near Pyramid Lake during a heavy rainstorm around 0730 this morning. A total of 3 rescue team members were involved in the collision. One of them was pronounced dead, another is in critical condition and a third suffered minor injuries. 7 other people were involved in the wreck as well. One of the rescue teams were on their way to a training exercise when they came upon the initial traffic crash at Vista Del Lago-in Los Angeles County. They stopped to help and while there, a vehicle plowed into the scene. The identity of the deceased search-and-rescue team member was not immediately released. It is statewide policy not to admit ‘civilians’ during an evacuation order, and that includes private firefighters. A number of Malibu residents’ homeowners insurance policies include the use of private firefighting companies that work independently from county firefighters. The private crews protect specific homes under contract with insurance companies, and attempt to arrive ahead of the flames. These companies have been around since the 1980s, but have become even more common and in-demand as the risk of major wildfires in California has increased over the years. The private crews emphasize doing fire prevention work as quickly as possible around an individual house in advance of the fire. They will rake leaves, clear gutters, remove debris from roofs, close windows and vents, spray retardant on brush, and, in some cases, spray the house with gel to protect it from flying embers. They’ll also remove stacked wood, clear brush and patio furniture cushions, and anything else around the house that’s highly flammable. Their fleet trucks carry water for putting out hot spots. While benefits seem obvious for insurance companies, statewide fire officials point out they complicate firefighting efforts for central command, since they cannot communicate readily with rank-and-file crews. Now, in the fallout of the Woolsey Fire—where resources were spread so thin many homes did not see any fire engines at all—questions are being asked about why private crews were turned away. McLean explained they consider private firefighters to be civilians, regardless of the firefighting experience and training they may have. In addition, he said they “do not just drop hoses on the ground and start fighting a fire” the way county firefighters do. “They’re not part of the [official] fire service” or chain of command. “From the standpoint of first responders, they are not viewed as assets to be deployed. They’re viewed as a responsibility,” Carroll Wills, communications director for California Professional Firefighters, a labor union representing rank-and-file firefighters in the state, told the LA Times. During a wildfire, the private crews say they may not be able to visit every home insured under the program, but prioritize based on the fire’s movement and where homes have a high likelihood of being destroyed without their assistance. As the danger of fire has increased in recent years, so has the use of private firefighters by insurance companies like USAA, Chubb, AIG, Liberty Mutual, Safeco and Nationwide. While some offer the service as an “opt-in” benefit that costs extra money, others, like USAA and Chubb, have made it a standard part of their policy. One of the largest private firefighting companies, Wildfire Defense Systems, has contracts with a dozen different insurance companies, but doesn’t contract with individuals. When the Woolsey, Hill and Camp fires broke out last month, they deployed 53 firetrucks, more than 100 firefighters and 50 workers in California, David Torgerson, president, told the LA Times. He said only about five percent of such companies contract with individuals. For insurance companies, the benefits of private firefighters are obvious—it’s cheaper to send them out to save a $5 million property than it would be to replace the house and its contents. PARADISE — By the early afternoon of Nov. 8, the Camp Fire had consumed Paradise and was headed southwest toward Chico and Oroville. A hand strike team of Cal Fire firefighters and California prison inmates was sent to the front lines. They had to help protect Butte College in Oroville and the heavily populated areas nearby. Two teams headed up Clark Road and began scouting areas to set back fires, to try and burn up fuel so the incoming fiery beast had nothing left to devour. As they stood along Rattlesnake Flats Road — an undulating, one-lane dirt farm road flanked by barbed wire fences — the favorable winds suddenly switched directions and picked up velocity. The fire had them trapped. Two inmates and a fire captain would be seriously burned in the lightning quick event, but survive. The harrowing story of the Cal Fire crew and their inmate colleagues had not been publicly reported until Friday when state fire investigators released a Green Report, launched after any firefighter injuries or deaths. Despite claiming at least 86 civilian lives, no firefighters died in the blaze, although five were injured. The report’s account of two close calls during the first 24 hours of the firefight is proof that the outcome could have easily been much different. In addition to the Rattlesnake Flats incident, an exploding propane tank launched shrapnel at two firefighters protecting a home in Magalia. All but one of the firefighters were released from the hospital the same day, except the Cal Fire captain from Rattlesnake Flats, who was finally released from the hospital last week, Cal Fire spokesman Scott McLean said. Was he surprised the state’s deadliest and most destructive fire didn’t leave a bigger firefighter toll? The report further emphasizes the destructive weather patterns and dry vegetation that created an “urban firestorm” that gobbled up 76 acres a minute with embers igniting spot fires a mile ahead. Those small fires would become 200-acre conflagrations within minutes, investigators said. The report compared the blaze to the firestorm that wiped out the German city of Hamburg during the height of World War II. An Allied bombing run called “Operation Gomorrah” in July 1943, boosted by dry conditions and intense winds created an “urban firestorm” that killed 42,600 civilians and wounded 37,000 more. By 2:45 p.m. Nov. 8, the Camp fire had devastated Paradise and was feeding off vegetation and making its way out of the foothills. The two hand strike teams positioned along Rattlesnake Flats Road watched as 10- to 15-foot-high flames shot across the road, blocking both directions. Both crews feverishly attempted to set back fires to get a small buffer from the advancing flames, but managed only about 20 feet, according to the report. The first inmate ran toward the flames to escape, but was stopped by the fence. He suffered burns on his face and neck. A second firefighter ran the opposite direction. He leapt over the barbed wire fence but a tool on his belt caught and he fell to the ground. Flames ignited his hair, beard and mustache and left him with burns on his face and neck, the report said. State prison officials would not confirm where the inmates were jailed but released their ages, 30 and 27. The 30-year-old was treated and released and the 27-year-old had burns over 3 percent of his body and spent more than one day in the hospital, a state prison spokesperson said. He called in the emergency, but radio transmissions were so busy, no one heard his call for medical aid. By 3:30 p.m., the injured men were all removed by ambulance. The second incident happened Nov. 9 around 5 a.m. in Magalia. Crews saw a spot fire near a house on Chestnut Circle and began protecting the home from the flames. Without warning, a 250-gallon propane tank exploded more than 200 feet away. A fire captain was hit by burning sticks, branches, pine cones, bark and molten aluminum, while a nearby firefighter was hit with embers and pieces of fence. Both received face and neck burns, the report said. On Thursday, firefighters were honored at an appreciation dinner at The Palms, an event center in Chico. “I am in awe of what they did to save the people of my community,” said Paradise Mayor Jody Jones, who spoke at the dinner. “They are true heroes. I am so sorry that some of them were injured. Inciweb: U.S. Forest Service fire crews will pile and broadcast burn 273 acres around Angelus Oaks off Highway 38. U.S. Forest Service fire crews will pile and broadcast burn 273 acres around Angelus Oaks off Highway 38. The project, which will occur intermittently over the winter when conditions are safe for burning, is part of a larger effort to create defensible space between neighborhoods and wildland areas in the San Bernardino Mountains. Smoke and flame may be seen from a distance. Tues., Dec. 18: Crews plan to treat 10 acres through pile burning on the east side of the community behind Spruce Ct. and Spruce Ave. Hikers at the San Bernardino Peak Trail trailhead may also see work being done. More pile burning may occur on Tues., Dec. 18, behind Spruce Ct. and Spruce Ave. The California Public Utilities Commission opened a formal investigation into Pacific Gas & Electric Co. on Thursday, alleging that the utility may have violated safety standards and falsified gas records. The investigation, announced Friday, stemmed from an internal report that allegedly found that PG&E repeatedly failed to mark its gas lines on time but claimed they did between 2012 and 2017, according to a press release. The commission also noted that the alleged violation period came just two years after the deadly 2010 San Bruno gas explosion, which killed eight people, injured 58 and destroyed 38 homes. If found in violation, the commission may consider imposing daily fines on the utility. 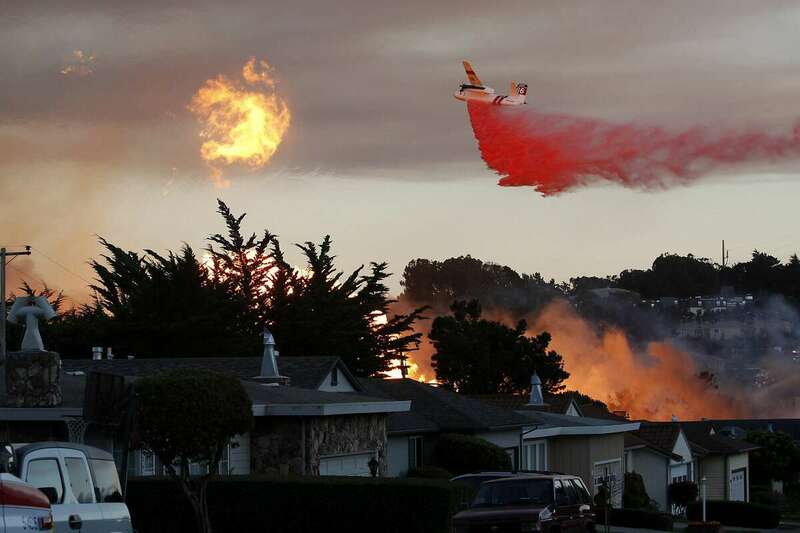 PG&E was given a $1.6 billion penalty following the San Bruno blast. The commission hit PG&E with $5 million in fines in October for two major gas leaks in Northern California in 2016 and 2017. State law requires that utilities must mark underground gas infrastructure before excavators begin digging. The commission report claimed PG&E lacked staff to complete locator work, and management allegedly pressured staff to file late tickets as completed on time. PG&E might have undercounted tens of thousands of late tickets over those five years, officials said. State Sen. Jerry Hill, D-San Mateo, a frequent PG&E critic, said the allegations detailed by the utilities commission Friday echo concerns he heard from contractors three years ago after a fatal accident involving the utility’s gas equipment in the Bakersfield area. Hill, whose district includes San Bruno, said lawmakers should now seriously consider requiring more oversight of the utility’s digging and marking operations. He’s lost all confidence in PG&E’s ability to “do the job correctly,” he said. PG&E said that it is cooperating with the commission on the investigation. “At PG&E, our most important responsibility is public and employee safety. We’re committed to accurate and thorough reporting and record-keeping, and we didn’t live up to that commitment in this case,” said Matt Nauman, a PG&E spokesman. Nauman said the utility has taken actions to meet state standards. Commission officials said that failing to mark natural gas lines on time could lead to damaged natural gas pipes and valves if contractors start excavating without knowing if there are pipes in the area.